I believe this exhibition is a must-see for every designer and artist. A comprehensive selection from Pop Art era, divided into a sections of movements, interests and influences and spread over two floors. I was blown away by the quality of this exhibition. I obviously expected to see the work of Andy Warhol and Roy Lichtenstein, but seeing how Pop Art influenced more then just a graphic work — such as furniture, textile and magazine design — was very eye-opening. Seeing work of Richard Hamilton and Charles and Ray Eames amongst others was great, but for me, nothing would beat the fact of seeing the real 1972 New York subway map by Massimo Vignelli, Bob Dylan poster by Milton Glaser and Broadway by Light movie by William Klein. For me, the real fantastic ‘find’ was work of Alexander Girard, the american designer, with the fields of work covering interior design, toy design, textile design and industrial design. He is probably best known for textile design for Herman Miller and Charles and Ray Eames. But my most appreciated work of his is the La Fonda del Sol restaurant in New York from 1960. He ‘covered’ the exterior and interior in typography. Seeing the large hand-drawn dummy was like a typographic heaven. It’s worth going to see it. 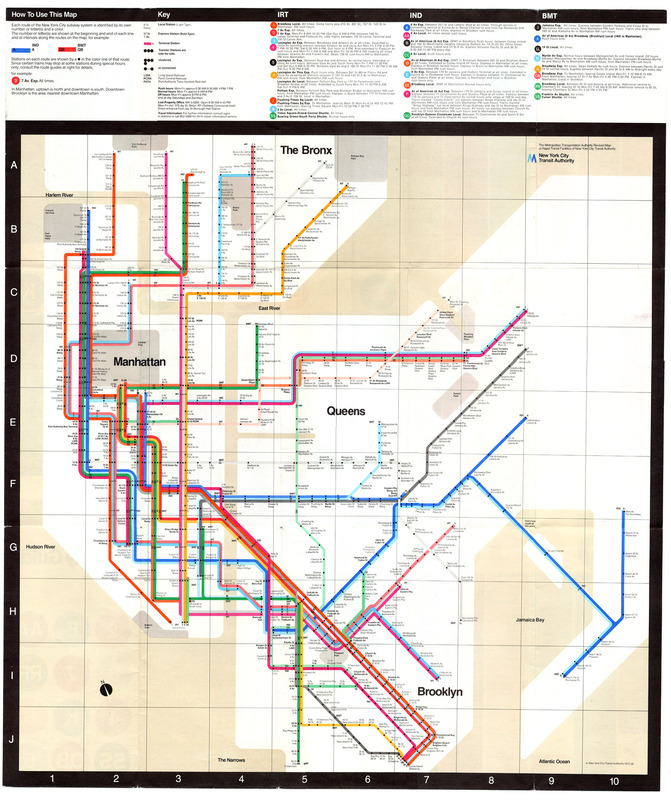 Massimo Vignelli map image credit. Alexander Girard La Fonda del Sol image credit.